Lee Dzedulionis of Nahant Ave., Winthrop passed away at home on April 11, 2019. She was 72 years old. Born in Boston she was the beloved daughter of the late Edna (Torpey) and Fred Murphy. A life long resident of Winthrop she was employed as an analyst for New England Telephone prior to her retirement. She was also a former Town Meeting Member, former member Winthrop Emblem Club and the Winthrop Handicap Committee. 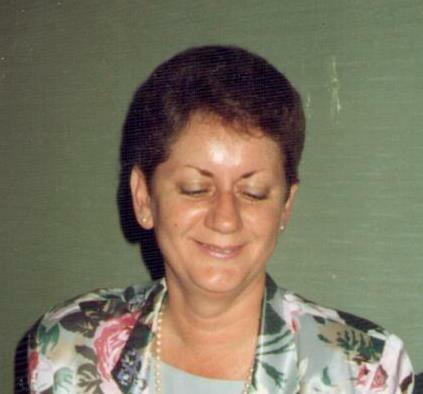 She was the devoted wife of Benjamin Dzedulionis, Sr. and the loving mother of Benjamin Dzedulionis, Jr. and his wife Christine of Salem and Brian Dzedulionis of Winthrop. Dear sister of Jane Sambade of Falmouth. Cherished grandmother of Chris, Lia, Katelyn, Neve, Collin and James. Beloved aunt of Scott and Johanna Sambade. Family and friends are cordially invited to attend the visitation from the funeral home on Monday, April 15, 2019 from 4:00 to 8:00 PM. The funeral will be conducted from the funeral home on Tuesday, April 16, 2019 at 9:00 AM followed by a funeral mass in St. John the Evangelist Church 320 Winthrop St., Winthrop at 10:00 AM. Services will conclude with the interment in the Cross Street section of Winthrop Cemetery.